Good old summer time is upon us. In Canada, the May 24 long weekend signals the start of the traditional Canadian summer season. Having spent the weekend at the cottage, I was thinking of this morning’s blog posting. While I had something else set to post, it seemed the right time to write an article on how planning for your family vacation can tie into financial life planning. However, waking up to very sad news this morning, I decided to make an amendment to the blog post prior to posting. Gord Downie and the Canadian icon band, The Tragically Hip, announced that Gord has terminal brain cancer. Ironically, The Hip are set to release a new album in June. With this news in hand, The Hip are in the process of announcing a new Canadian tour. In light of Gord’s diagnosis, they just decided this over the past weekend after talking it out. I will be there as I was when they started. I lived in Kingston in the early 80’s where they launched their epic career. Today is a sad day for Canadians and Canadian music. The Hip are the ideological sound of Canadian summer. Ironically, this news comes to us at the start of another great Canadian summer. In returning from the long weekend, I thought it appropriate to discuss how everyone should always balance their financial life with spending quality time together with your family. You never know when your cards in life will change. If you plan well enough ahead, set aside what you are comfortable spending on this vacation and carve it out of your annual spending plan. It is good to set a target for how much you are willing to spend. This will help you make trade-off decisions during the planning and while on vacation. Get working on this today to get your vacation planning started is an account to pay for it all. Think ahead and set up a separate bank account or TFSA and use this as your “vacation fund”. Plan out a budget of what the trip will cost and figure out how much you need to contribute each month. Ideally you should set up an automatic monthly or weekly contribution into this account so that these contributions aren’t forgotten about. Unfortunately, many of us wait until vacation time to start thinking about how to pay for our trips. Short term budgeting techniques may be necessary. Consider putting a few lump sum deposits into your vacation account to reach the full amount required ahead of schedule. If you receive unexpected cash from a tax refund, work bonus or garage sale, deposit it into the vacation account. By doing so, you may reach your targeted amount a few months early or get as close as you can. If you have surplus, allow the contributions to continue and help build up early for next year. With gas price relatively affordable, this might be the year for a road trip. Airline tickets are still relatively high. Loading the family into a van will significantly reduce your costs. If you go to national parks or historical areas in Canada, you can also save with online coupons. You may even want to consider renting an RV, which will further reduce your costs because you won’t have to pay for hotel rooms. 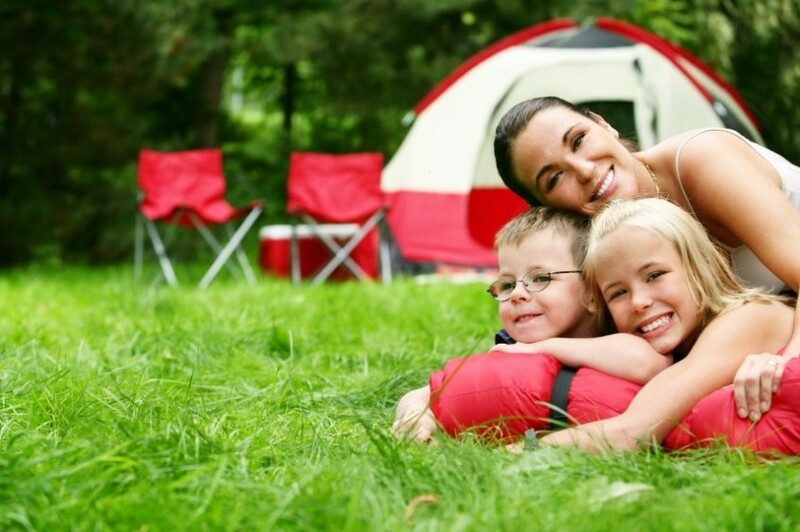 Renting an RV can save up to 45% in vacation costs for a family of four. You can even bring your dog and eliminate the costs of boarding your pet. If you really hate the idea of a road trip, then fly. If possible, use points from credit cards on your flight or hotel. If you haven’t already reserved, it may be hard to find deals now. Ways to keep your airline costs as low as possible include doing round-trip tickets, which tend to be less costly, and also travel light. Airlines are increasing the costs of carrying luggage, so pack as little as possible. Try using vacation rental properties or time shares rather than hotels, particularly if you are traveling with your family or a group of people. You can reduce your lodging costs by staying at rental properties. Rental properties typically cost 50-80% less per square foot than traditional hotel rooms. I have used online rental sites several times and have had great success. You can view photos online of the specific property you are renting and they often include perks such as a community pool, workout centres and clubhouse areas. Beware for scams and make sure you talk to the owner of the property and check their references to make sure they are legitimate. This option provides more room and can make your vacation a home away from home. You can also reduce your meal costs by staying in a rental. Do an online search for package deals or GroupOn for the attractions you are planning to see. Going to the attraction’s websites, certainly well before hand can lead to some super deals. Sometimes you must stand in line and can’t order ahead of time online, but it is still worth checking. If you rent a house or condo instead of staying at a hotel, you can easily save on food costs by eating in, particularly breakfast. You can also entertain in. Buy your alcohol and adult beverages and make your own drinks. Experiment with new drinks that fit the place – like new fruity drinks for the beach. Load up at a nearby grocery store with drinks for the kids and snacks. If you stay at a hotel, take advantage of the complimentary continental breakfast if provided. If not, then get out of the hotel for breakfast in order to keep costs down. It will also be less expensive to eat a larger lunch and then a smaller dinner. Consider brunch instead of three meals a day or maybe a later lunch or early dinner. Then you can snack or eat lightly at night. This will help save food costs. With some planning and research, you can stay within your annual spending budget and still have a terrific summer vacation. Like everything else, finding balance in your life between work and family is an important part of Financial Life Planning. Taking time and planning ahead will allow all of us to find time for dedicated vacation time with the family. Vacations are supposed to be all about relaxing, unwinding and enjoying special time with your family and friends. You should come home from a vacation well rested and with a little less stress in your life. If you come home to a fresh pile of debt, this becomes very hard. A little planning today can go a long way to helping you to come back recharged and a little more worry free. Al necessary in Keeping Life Current.